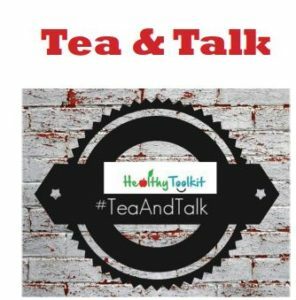 We caught up with prominent wellbeing blogger @thatboycanteach for a chat about wellbeing, workload and the power of a great hashtag! You have written quite a lot about wellbeing, and even been published in the TES on the subject. What triggered your interest in wellbeing and workload? My interest in wellbeing was piqued by the rise in online articles about teachers leaving the profession. It made me reflect on why I was not experiencing being a teacher in the same way as those who were having such a hard time that they felt their only option was to stop teaching. I suppose unknowingly I’ve always been interested in wellbeing and workload because I’ve always disliked the idea of not getting to do all the non-work things that I like to do. I started my own blog at my wife’s suggestion – she felt I had something to offer to those who struggle with workload and wellbeing issues. This led to a (still ongoing) period of self-reflection in which I tried to analyse what it was that I did without really knowing that contributed to my own wellbeing. As you’ve mentioned a recent blog post I wrote was re-blogged by TES. In that piece I explore another aspect of what might have more subconsciously influenced my desire to never let work get on top of me: my experience of my dad’s workplace-related depression. Now that I am part of a senior leadership team in a challenging school I am always conscious of how hard the work can be and that part of my job is to ensure that my own colleagues’ wellbeing is prioritised; my interest is largely ongoing because of my day job! Marking is very prominent in the workload agenda at the moment, what would you say are the most effective strategies for tackling it, while providing effective, high-quality feedback? This is a very current issue, and just like the whole issue of wellbeing it is being given a lot of prominence both in online forums and by senior leadership teams up and down the country. I was reflecting this evening on my NQT year (I’m in my 11th year of teaching now) and how I can’t remember spending much time marking – I hung out with my friends most evenings creating DJ routines, making music and rollerblading! It does seem that over the years a greater emphasis has been placed on marking. I think perhaps the emphasis on marking is wrong – it’s feedback that we need to be concentrating on, and therein lies the solution. 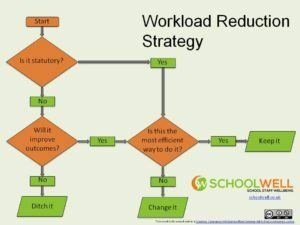 When I became a year 6 teacher, around about the same time as Ofsted began placing more importance on work scrutiny, I went to the assistant head (a very experienced year 6 teacher) and asked for help with managing the workload. She gave me two main pieces of advice: mark in lessons where possible and plan wisely so as to ensure lessons do not produce too much work that needs to be marked – I’ve written about it in more detail in my blog post ‘Managing Marking’ (http://thatboycanteach.blogspot.co.uk/2016/02/managing-marking.html). My current practice essentially stays true to those principles. I now understand the value of quality feedback (including marking) and have seen many times the impact it can have on a child’s progress. Where possible I will sit with a child and we will appraise their work together, checking and setting targets and always ensuring they have an immediate action point to work on which will improve an aspect of their work. I won’t always be able to mark every child’s work in every lesson (although I would always ensure that I at least saw every piece in every lesson) so sometimes written feedback is necessary. Some schools, I have discovered, have ridiculous and unnecessary expectations written into their policies – I have heard of teachers who have to record work in books in every lesson, all of which must be ‘deep-marked’ – in primary school that could equate to 90 books per night which is utterly unmanageable. So, although there is great advice out there on how to reduce the marking workload, when expectations are that unrealistic, the advice is very difficult to apply. I make a point of regularly urging school leaders I am in contact with to review such policies although it would seem that there needs to be a seismic shift within the system for this to improve. I only hope that it is not a perpetuation of the recruitment and retention crisis that leads to this – we are losing good teachers. Whilst we’re on the subject of marking: I do fear that marking has become the go-to scapegoat, the thing on which to blame all workload and wellbeing problems. Whilst so many of us are focusing on how the marking workload is having detrimental effects on our wellbeing, I wonder if there are other influencing factors that we notice less. You are very active on twitter and often participate in (and sometimes initiate) hashtags such as #teacher5aday, #fiftybookchallenge and #teacherspets. What would you say the impact of social media is on your wellbeing? That last hashtag sounds a bit strange! I’d better explain it: for a few Sunday nights I instigated some hashtags for teachers to share something about themselves that drew the focus away from those ‘Sunday night blues’ that many teachers experience. For those who took part, I think it worked! Teachers shared photos of themselves as babies (#teachersasbabies), as teenagers (#teachersasteens) and things they did before they were teachers (#beforeIwasateacher), as well as the #teacherspets one. Looking back at them now the engagement was pretty huge and people had a bit of fun! Perhaps I should cook up some more. I really love the #teacher5aday movement. Martyn Reah and the others involved are doing a great job of engaging people in being more aware of their own needs. Teaching can be such an altruistic job that we do sometimes need reminding to look after ourselves – even if it’s just the little things like noticing the beauty in the world around us and snapping a quick photo of it. The #fiftybookchallenge has been amazing – I started on January 1st intending to read 50 books in the year (read more about it here: http://thatboycanteach.blogspot.co.uk/2016/08/being-reading-teacher.html) and I’ve actually just finished reading my 51st book this year! I got the idea from Kat Howard on Twitter (@saysmiss) when she wrote a blog post about her #fiftybookchallenge last year. I’ve always loved reading but had been pretty ill-disciplined so when the idea of a challenge came along I knew it would be something I’d commit to and succeed at! 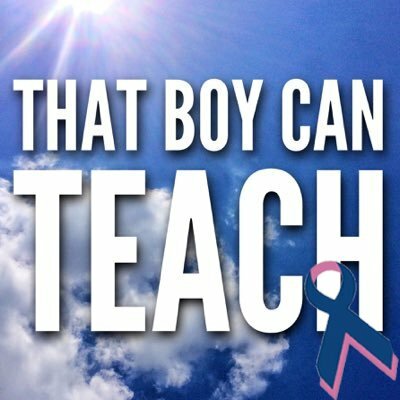 Just recently lots of other teachers on Twitter have been taking up the challenge. It’s a great opportunity to share and talk about books and there are huge wellbeing benefits too (https://readingagency.org.uk/news/media/reading-for-pleasure-builds-empathy-and-improves-wellbeing-research-from-the-reading-agency-finds.html). I’ve found it really beneficial to read before I sleep: it takes my mind off all the things I’ve been doing during the day. If I don’t read I often have vivid dreams about those things which leads to a restless night and tiredness the next day. 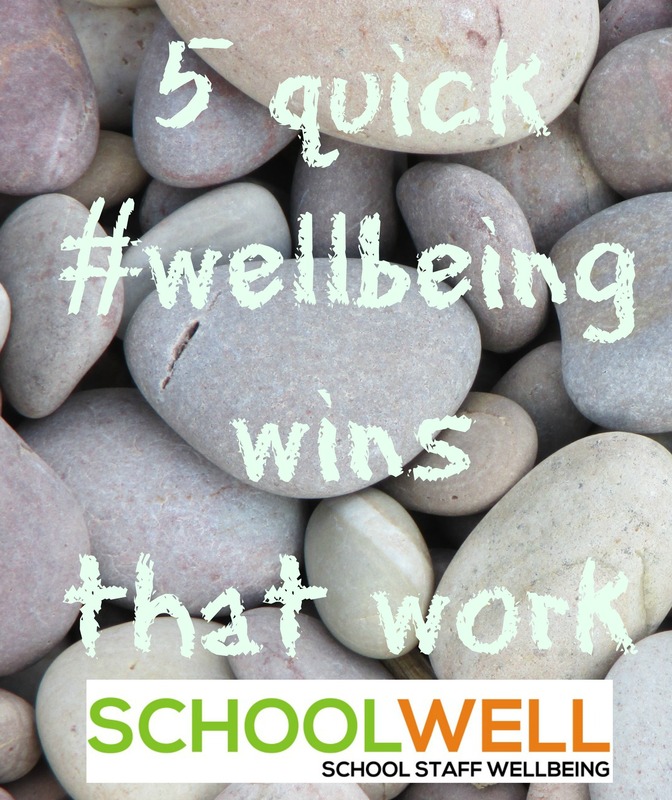 What do you think is the best way for a school to go about prioritising staff wellbeing? There is a simple answer to this and a never-ending answer! 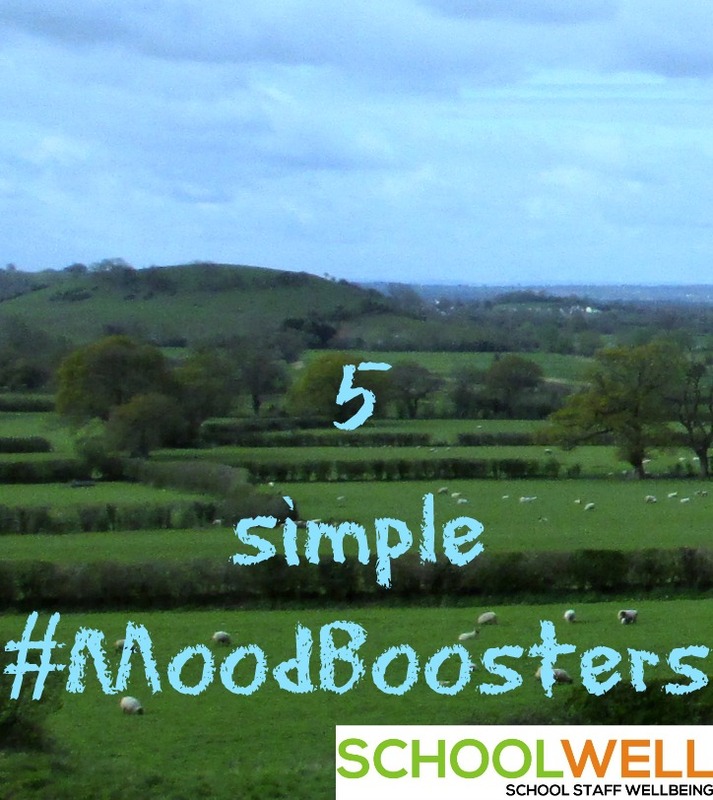 There are a million and one things that schools can do to improve the wellbeing of their staff because each staff member will be in a different state of health and will have a different combination of things which keep them well. But a focus on those things is ultimately unhelpful for that precise reason – schools shouldn’t be trying to solve these individual needs for people on the whole, but they should be allowing for the life side of the balance to take place. What schools should focus on is their expectations of teachers: of the amount of planning, marking, preparation that is explicitly expected. Every new initiative needs to be passed through a filter to ensure that it is purposeful and efficient – teachers hate nothing more than doing something that seems pointless, let alone when they have to spend a lot of time doing it. It helps if schools also provide practical advice on how to work more efficiently and effectively, especially when introducing something new. Having someone who can lead by example in these ways is a great help too. It is also necessary sometimes to outline what is not expected so staff don’t unnecessarily go ‘above and beyond’. One other thing that schools can do is to avoid shrugging off inefficient practices as teacher’s choice. I believe schools should be active in challenging teachers who are spending too much time at their work and helping them to become better at prioritising tasks, time management, or whatever the issue is that is making them overwork. Who are your wellbeing heroes? That’s a hard one. I suppose it is any teacher who I’ve worked with along the way who has proved that life does not have to revolve around the job. Those teachers who have not made me feel guilty for going home or for having work-free weekends. Those teachers who have shared their own time(and health)-saving practices with me. As famous folk go I’d say Ernest Shackleton, who is also my leadership hero. I really recommend the book ‘Shackleton’s Way’ by Margot Morrell and Stephanie Capparell for any leader or aspiring leader. It is well-documented that Shackleton always put the wellbeing of his crew first. Although they faced many hardships on the Endurance expedition the crew enjoyed activities such as celebrations, singalongs, card games, sled racing, football and reading. He also championed a healthy diet and an exercise regime recognising their links to mental health. Shackleton knew that without such activities team morale would fall and situations would worsen. Can you tell us about the #OptimisticEd hashtag and your involvement with it? #OptimisticEd was conceived by Rae Snape (@RaeSnape) along with Natalie Scott (@nataliehscott – TES blogger of the year), @MattGovernor and myself. We found ourselves writing and tweeting about lots of positive things about education and put a hashtag to it. It’s that simple really. We look for positive and optimistic news, articles, tweets and blogs and try to give them prominence. 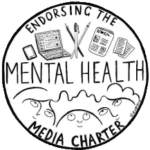 I’ve written before about the links between optimism and wellbeing (http://thatboycanteach.blogspot.co.uk/2016/03/wellbeing-x-optimism.html) – I think it is difficult to truly have one without the other so we try to highlight the positives in teaching in a climate where there is so much negative. We hope to give #OptimisticEd a bit of a reboot in the coming weeks and months so watch this space!